David Le/Gloucester Daily Times. 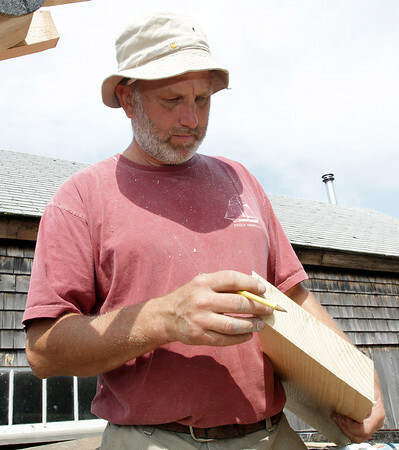 Harold Burham of Burham's Boat Building takes some measurements for a piece of wood on Wednesday morning in preparation for the launch of the Schooner Ardelle on July 9th. 6/29/11.